While ADSL, Cable and NBN internet typically requires tinkering with a router, home wireless plans promise to do away with phone line fiddling. It’s like connecting to the internet on your mobile, and nearly as simple. Home wireless is a home internet connection provided by connecting to the 4G mobile network, and can be good for those who can’t access NBN or ADSL yet need a reliable connection with lots of data. Home wireless broadband is technology that allows a modem to connect to the internet remotely. In this case, the connection we will be looking at is over the mobile phone network; however, wireless broadband can also be delivered through satellite connection. Home wireless differs from mobile broadband in that it comes packaged with a router, and is intended for use as a replacement for a fixed line connection. If you’re only interested in a mobile data SIM, you can see our comparisons here. Why should I get home wireless broadband? You don’t like lock-in contracts. You can’t access NBN or ADSL. If you are a renter or frequently on the move and aren’t interested in a fixed line connection, home wireless provides you the flexibility to access the internet wherever you have power. For those on short leases, this could be invaluable. Otherwise, the ease of use is a significant benefit. It’s not an exaggeration to say most devices in your house can support a Wi-Fi connection these days. From your personal tablet to smart fridge, you need a Wi-Fi network to make the most of your electronics. These devices typically don’t use much bandwidth, making them suitable for a mobile connection. Exetel – 250GB plan for $39.99, with a choice of a 12-month or month-to-month contract. Spintel – 250GB plan from $39.95, on an 18 month or no lock-in contract. Optus – 200GB data for $60 a month, or 500GB for $80 per month, on 24-month or month-to-month contracts. Modems are included on 24-month contracts, or available from $192 upfront on a month-to-month plan. Popular wireless provider Vividwireless was part of the Optus family, but stopped offering plans to new customers on 2 December, 2018. Optus itself offers two wireless broadband plans, which were updated after the Vividwireless closure, and Exetel and Spintel each sell similar plans with varying modem fees. Yomojo also sells a 250GB home wireless plan, priced at just $44.90 per month. Regardless of your choice of provider, plans usually come with a 4G WiFi modem, often manufactured by Huawei. It’s important to note that some telcos are speed-rated to 10 or 12Mbps downloads, and some may also recognise peer-to-peer file sharing and throttle speeds further. In the home wireless world, unlimited data is fairly hard to come by, with most data caps hovering around the 200GB mark (or up to 500GB with Optus). If you’re a light user, these plans could be a great alternative to the NBN. On the other hand, if you’re a heavy user or in a larger household, 200GB could be eaten up pretty quickly! Below are some of the home wireless broadband options available in Australia. Tables may contain featured products from our referral partners. Exetel offers a 250GB home wireless plan, both on a casual basis and on 12-month contracts. Both terms require the purchase of a pre-configured Huawei 4G modem, but this is included free on one-year plans; if you opt for a month-to-month plan, you’ll need to pay $99 upfront. Yomojo’s wireless option also includes 250GB of data each month, for a competitive $44.90. 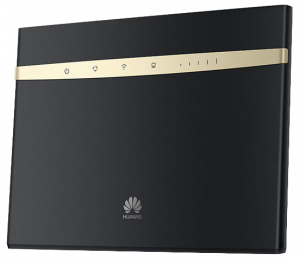 This plan is available contract-free, but you’ll need to pay $169 upfront for the included Huawei 4G router. Spintel offers 250GB of data on casual and 18-month contracts, with prices beginning at $39.95 per month. The requisite Huawei modem comes with an upfront cost of $179, but if you opt for a two-year plan, you’ll receive a $149 account credit to offset this charge. Spintel also gives customers the option of adding unlimited home phone to their wireless plan, for an additional $10 per month. Home wireless plans typically involve two components; a SIM card and a modem. The SIM card is used to access the mobile network and the modem supports either a Wi-Fi or Ethernet connection. Insert the SIM in the router, power the modem on and your connection is good to go. This is generally a much more simple process than establishing a new ADSL or NBN connection, as that usually requires professional installation and tech support. With home wireless, you can just ‘plug and play’; in fact, Optus boasts that its home wireless router takes less than 5 minutes to set up. Does home wireless have any limitations? It’s expensive, with data over wireless far more costly than ADSL or other fixed line connections in a ‘data for dollars’ sense. Coverage can vary just like a mobile phone’s signal. Home wireless won’t vary as much as your typical phone, as your router generally doesn’t leave your house. However, if your mobile reception at home is poor, you may want to think twice before committing to a lock-in home wireless plan. Top speeds can be affected easily, with some providers only promising max speeds slower than that of ADSL – 12Mbps. Is a home wireless plan right for me? Which plan you choose comes down to your internet priorities. If you’re a data heavy user, or suffering a Netflix addiction, Optus, Exetel and SpinTel 200GB+ plans are a viable option – you’ll get enough data for streaming at a comparatively cheap price. Optus’ stated speeds are sufficient to stream internet video, and its larger 500GB plan should allow for up to 166 hours of HD Netflix streaming each month. With home wireless, you are really paying extra for the amount of data because of the convenience factor. If you’re moving around a lot, or just want your very own home broadband connection without sharing with your family or pesky flatmates, home wireless broadband may be for you. Furthermore, if you’re just after a quick-fix solution without bothering with ADSL or NBN plan installation, home wireless is again a fair idea. However, you’ll pay more per gigabyte than with other connections – so you’ll have to weigh up the cost/convenience factor for yourself.